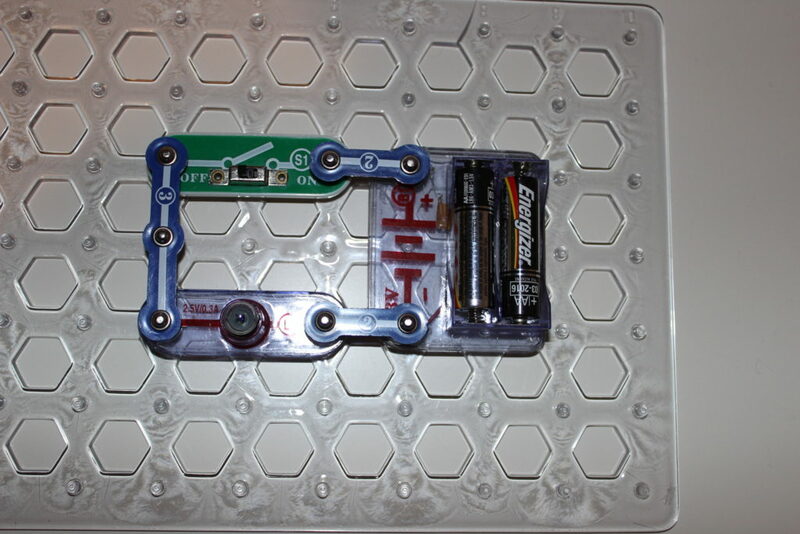 Snap Circuits Jr. is the entry level product for the Snap Circuits brand and features 32 electrical components, a plastic building plate, and a a project guidebook that include 101 suggested projects. 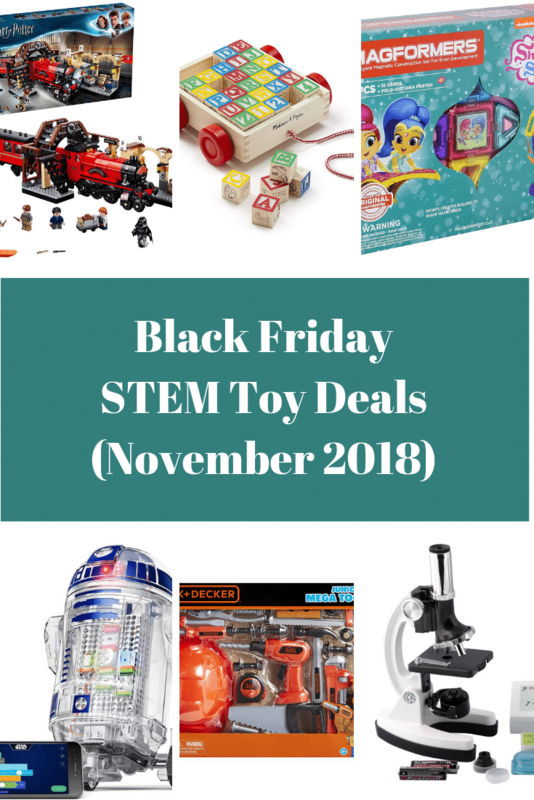 Inside, you will find basic electrical components: power supply (i.e., battery pack), light source (simple bulb), resistors (basic 100 ohm and photo), speakers, jumper wires, and more. 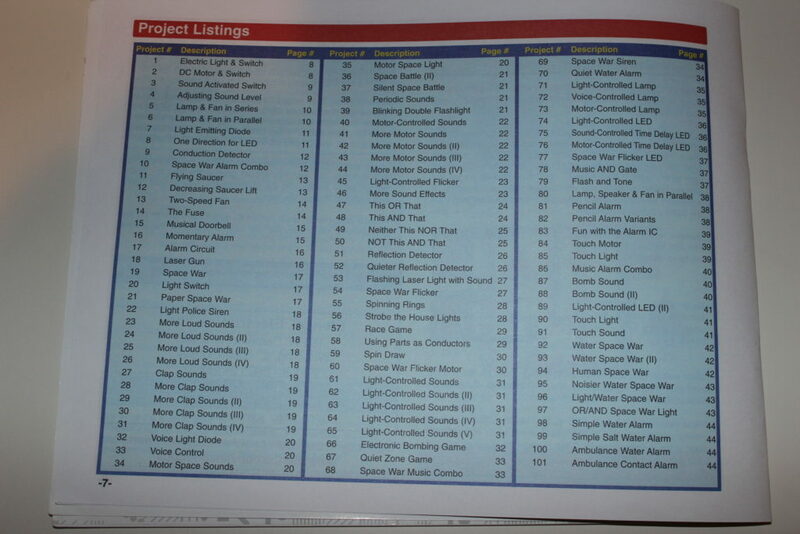 Additionally, you will find the project guidebook which includes a complete part list and project table of contents. 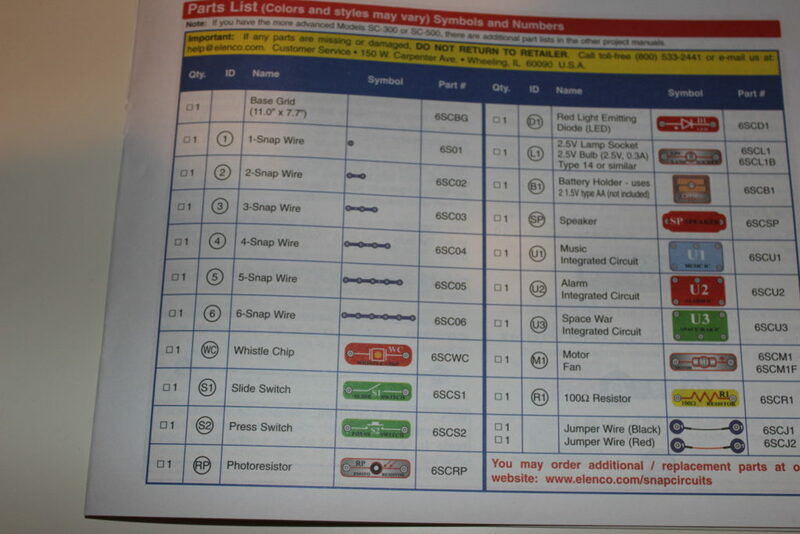 Each project has both descriptive text and an image of the circuit that allow young STEMmers to follow along. 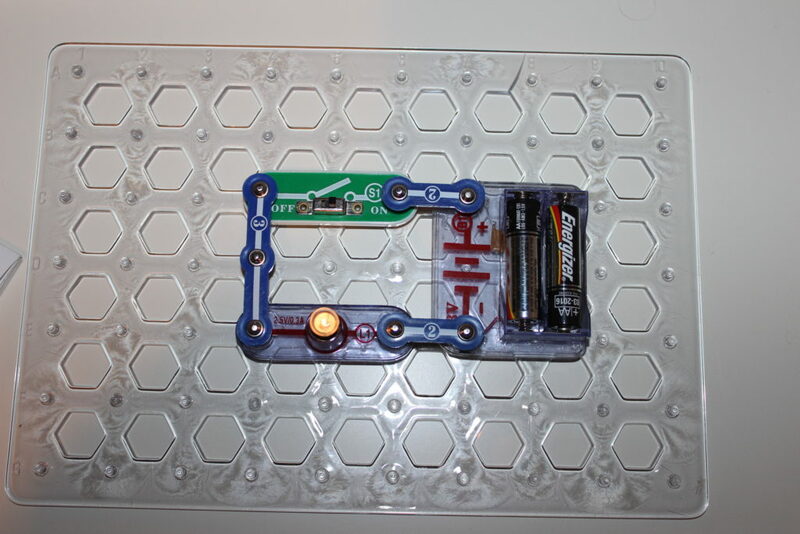 Though quite basic, this basic project is a great introduction to the Snap Circuits design. Though not required, the plastic base plate allows for easy building and expansion. 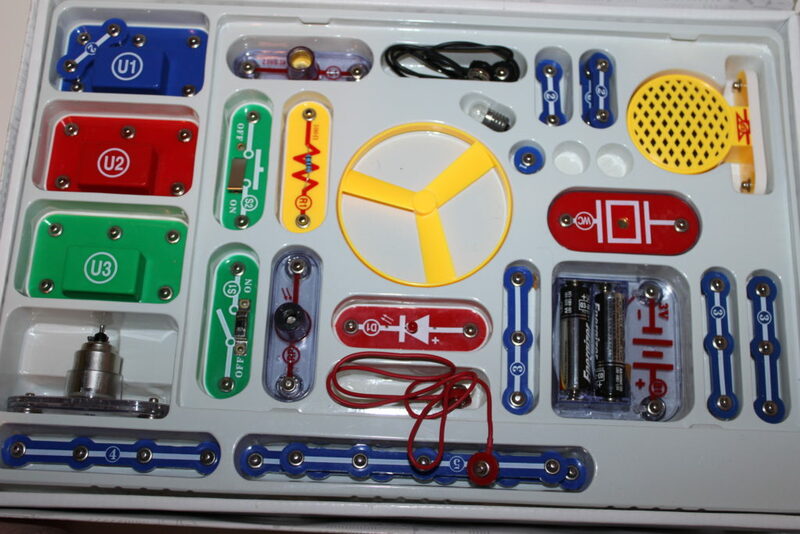 I find Snap Circuits, particularly Snap Circuits Jr., to be basic enough that any age can enjoy working collaboratively with older partner, though I would agree that they are not for unsupervised younger ages. For example, my 3-year old gets a kick out of helping daddy snap the pieces–99% of the time not doing anything–and turning switches off and on, which can turn on noises, rotate motors, or generate light depending on the build. Our favorite project so far is taking the circuit above, removing it from the base plate, and giving her dolls a light-up necklace. I highly encourage anyone to pick up a set of Snap Circuits; it is one of the best items available for teaching basic circuits!